Our reporter first met Anthony Bourdain in Lebanon in 2006. Anthony Bourdain relished the idea that there was no corner of the planet too remote, no dish too disgusting, to try just once. In fact, the more extreme the place or the dish, the better it was likely to play out on television. 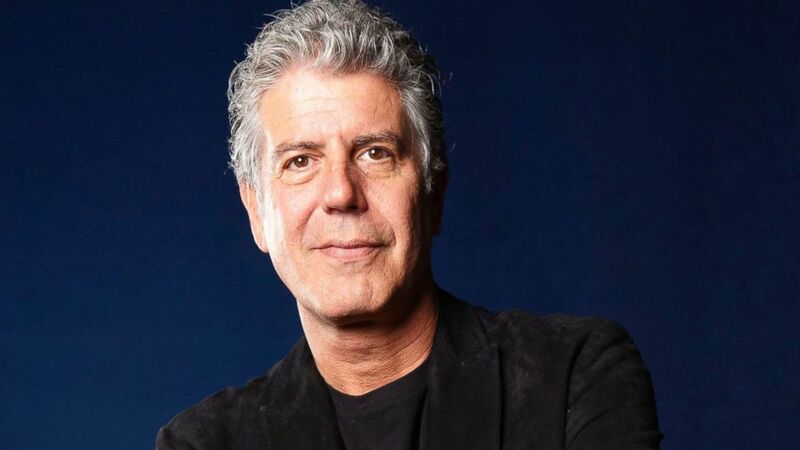 Bourdain’s sheer appetite for life is what made his award-winning show “Parts Unknown” such a huge success on CNN, “expanding our palates and our horizons in equal measure” (as the judges of the prestigious Peabody Award aptly put it). (Alex Welsh/The New York Times via Redux,FILE) Anthony Bourdain on Pier 57 in New York, Sept. 20, 2015. Bourdain knew he had a dream job. But that appetite for life, so much on display in his show, is also what makes his apparent suicide all the more tragic. I first met Bourdain in Lebanon, where he had come to film an episode of his Travel Channel show “No Reservations,” a precursor of sorts to the CNN show. In a bit of disastrous timing, he arrived on the eve of the 2006 Israeli summer war with Lebanon. It was a sudden escalation of Israel’s ongoing fight with Hezbollah. On the first day, Israel blew up the runways at Beirut’s international airport, plunging the region into a months-long war. That's why we were there. Bourdain and his team found themselves trapped at the Movenpick Hotel amid a growing collection of war reporters. It freaked him out —- so much so that this may have been the only life experience that could possibly give him a new appreciation for comfort food. (Geraint Lewis/eyevine via Redux, FILE) Anthony Bourdain, American Chef and writer at The Edinburgh International Book Festival in 2010. That episode of his show ended up winning an Emmy Award. I caught up with Bourdain again a year later in Austin, Texas, where he was on a book tour. At that point in his career, he treated television almost like free advertising for his books, a sideline to his career as a chef. TV satisfied his travel bug but didn’t really pay the bills. The book for which he was most famous, "Kitchen Confidential," grew out of a New Yorker piece Bourdain wrote when he was head chef at Les Halles in New York. It was a behind-the-scenes look at the stuff you really don’t want to know about your favorite restaurants -- the kind of book that makes you think twice about dining out. 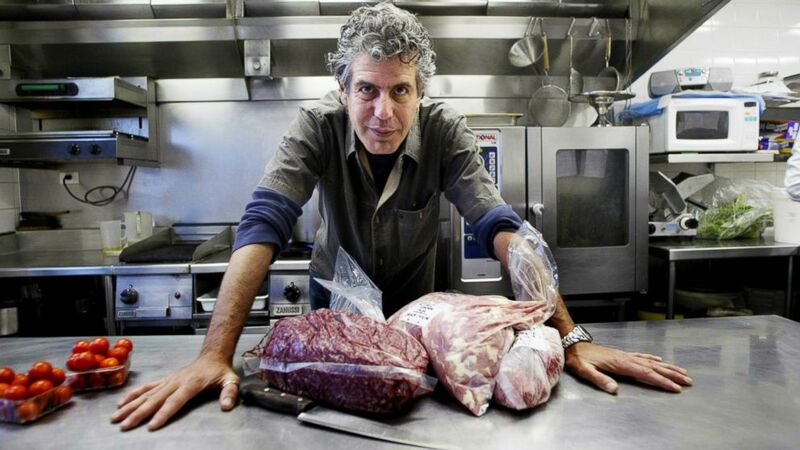 (Fairfax Media via Getty Images, FILE) Chef Anthony Bourdain from New York in Sydney in this March 17, 2005 file photo. He described, for instance, how restaurants gather up used table butter in a big crock all week long in preparation for Sunday brunch. “They’ll heat it up, strain out the cigarette butts and the breadcrumbs, and use that for the Hollandaise,” he described. I’ve never ordered Eggs Benedict since. He also described how you can judge how clean a restaurant's kitchen by the cleanliness of its bathrooms, and explained why you should never order the fish on a weekend because it was bound to be sitting around for a few days. 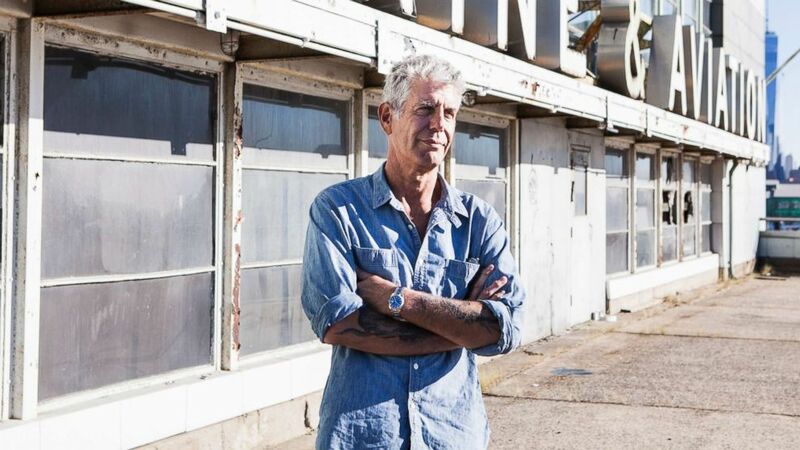 Exposing those dirty secrets of the restaurant trade made him a slightly controversial figure in the restaurant world, but Bourdain relished being a bad boy and a teller of uncomfortable truths. More recently, he did not hesitate to call out celebrity chefs for their alleged roles in the #MeToo scandal. But Bourdain would later disavow his snobbery about cleanliness and other first world fixations as he plunged almost exclusively into travel journalism, transforming himself from Marco Pierre White into the Marco Polo of the food world. Bourdain’s intrepid approach to food and travel made him the closest thing journalism has to a rock star. His zest for life, the devotion of his fans, and the admiration of his colleagues makes his apparent suicide all the more baffling. Ultimately, the “Parts Unknown” to millions of his fans are what possible demons could have led this globetrotting superstar to take his own life. And in Paris, of all places! French cuisine and culture launched Bourdain and he appeared to love it above all others.